Kristen Alexander and David Fax welcome you to Alexander Fax Booksellers' website. 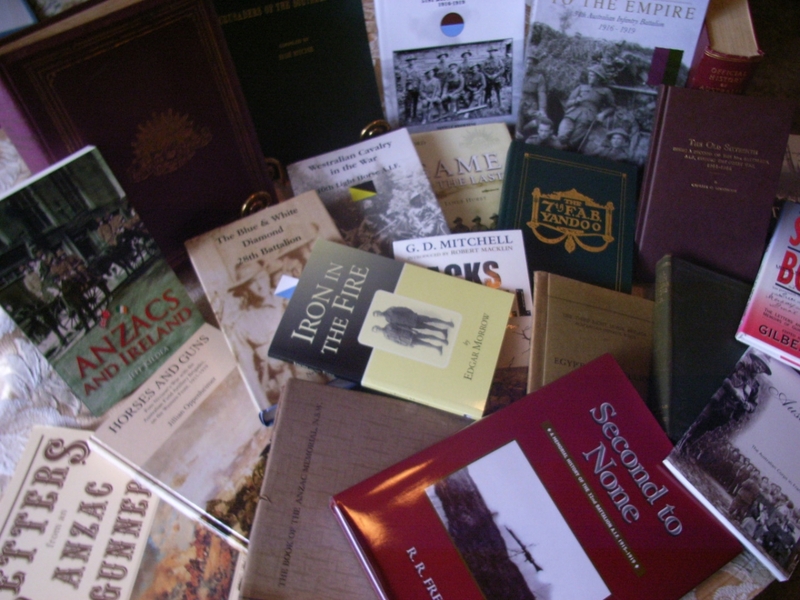 We specialise in quality secondhand military history books, including (in no particular order) military aviation, naval history, land warfare, military intelligence and espionage, prisoners of war, biographies, unit histories, women in war, and weaponry/technology/transport. The bulk of our military stock relates to the Great War and the Second World War but we also have a good selection of pre-20th century, post-Second World War conflicts and our most recent wars. We also stock secondhand books across a broad range of subjects such as civil aviation, Australian history, Aboriginal studies, Australian local histories, fishing, Australian art, rail/trains, philosophy, travel, and fiction, including a good selection of crime. Our new shop hours are Wednesday to Saturday 10.00 am to 3.00 pm. Please note: our search engine requires cookies so please ensure that your browser settings allow for this. We suggest going to the ordering page (click on 'ordering' on the navigation bar) for full ordering details.